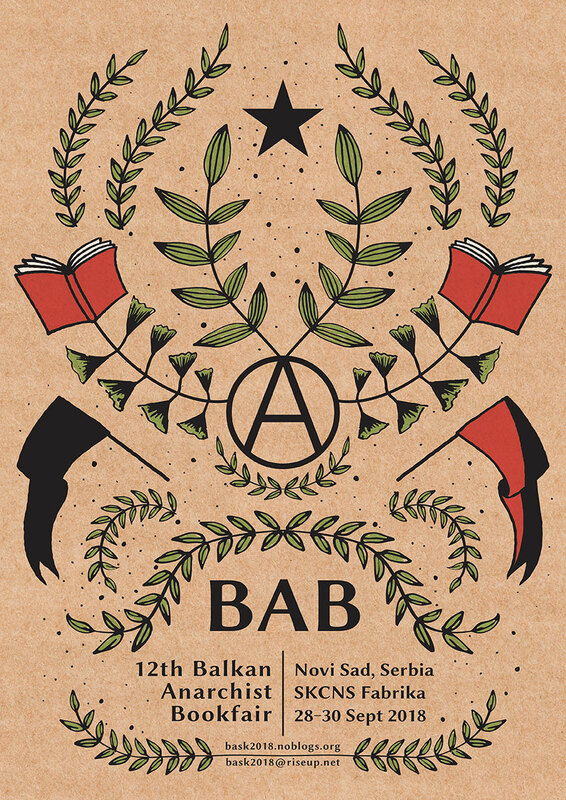 A resource blog to help advertise and organise Anarchist bookfairs worldwide. 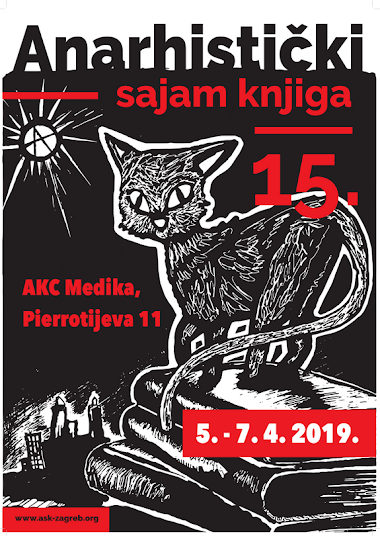 18th May, Prague Anarchist Bookfair, Czech. 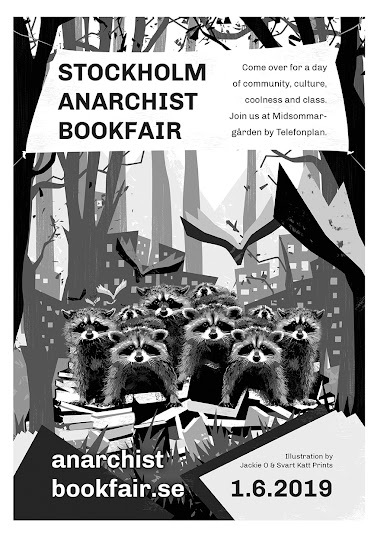 1st June, Stockholm Anarchist Bookfair, Sweden. 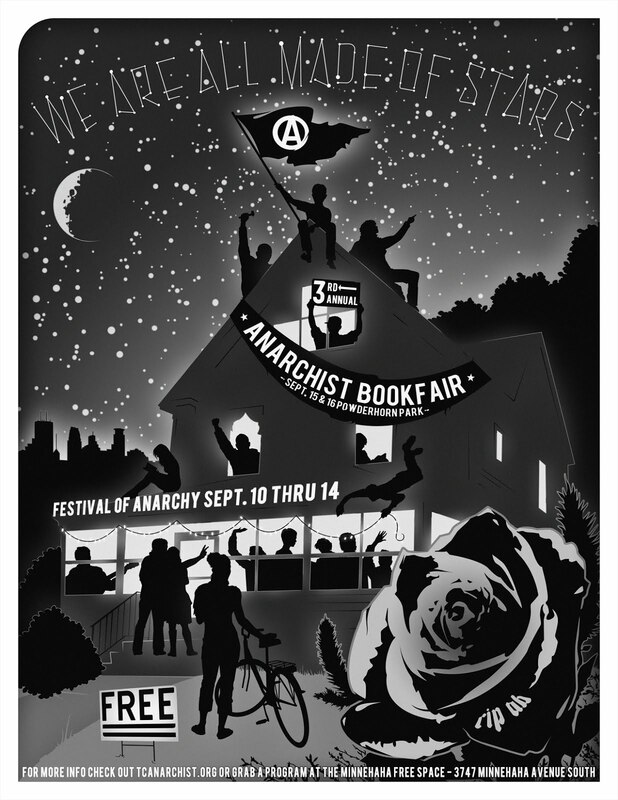 Anarchist Bookfair dates and details wanted. 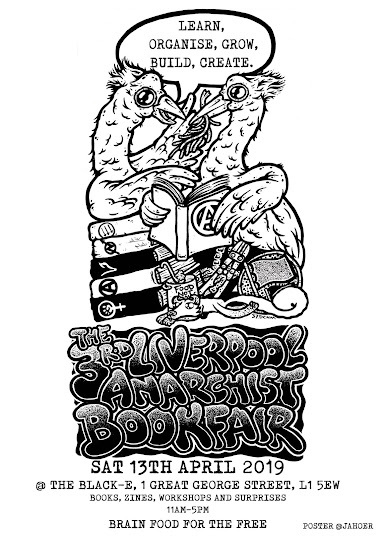 The idea of this site is that all anarchist and radical bookfairs can be listed on one site so that there is less chance of date clashes and better advertising of events. As you can see from the listings below anarchist bookfair organisers seem to have a habit of using the same dates repeatedly which is counter productive especially for those (like us) distributors and publishers who would like to attend them all! We know that many of the Bookfair weblinks are out of date but consider that some of you might like to see what was done as well as what will be done! 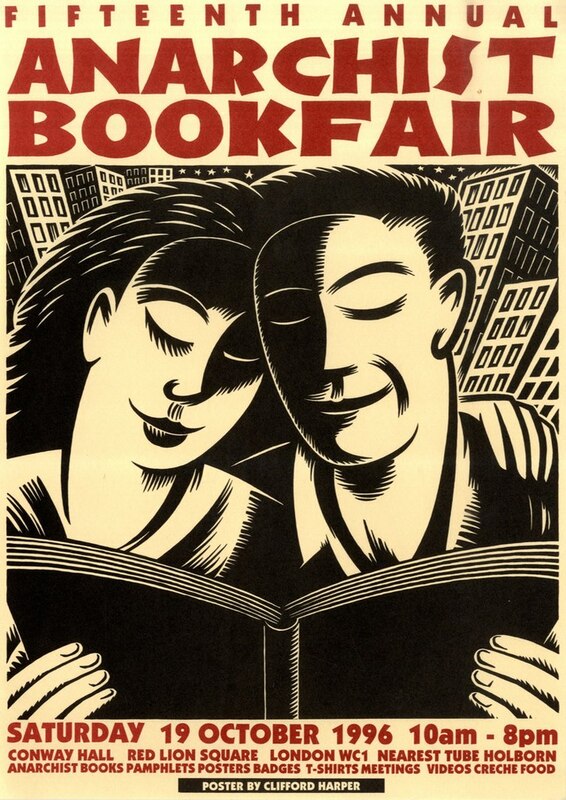 If you are unsure as to the exact date of your next bookfair but intend to do one then send us the likely dates and we will list it as TBC (to be confirmed). 1. Check to see if there are any other book fairs or events on that day that would not be good to clash with. Think not just from the organisers point of view but also from the punters and the stallholders interests. 2. Advertise your bookfair well in advance. Consider that if you want people to come from other countries, those with jobs, other responsibilities etc to come the less spontaneous the organisation is the better! 3, Use all media! Do not rely just on social media! paper flyers, stickers, posters and word of mouth are still very important. Make sure they get around well before the event and then do a "last minute" reminder poster campaign just before the event. Remember if you rely on Facebook you will get a Facebook response. Many radicals do not use or rely on Facebook. Try and get posters for your event to bookfairs that happen just before, send flyers to book distributors in advance for sending out in their mail. 4, DO NOT go to other anarchist events or book fairs just before "your" event and behave like idiots. Getting drunk, abusing peoples hospitality and other such behaviour is unlikely to encourage people to come to your event and may even inspire them to boycott you. This of course is a shame for all the others who have helped with or would benefit from your event. 5, Provide food (vegan) at your bookfair or make sure people who are not local to your venue are able to get hold of it easily. Remember to help stall holders who are there on their own to take breaks and get refreshments. 6, Contact local radical groups; activist, environmental, Trade Unions, Queer, all that are active even if not specifically anarchist and see if they are able to help publicise the event. 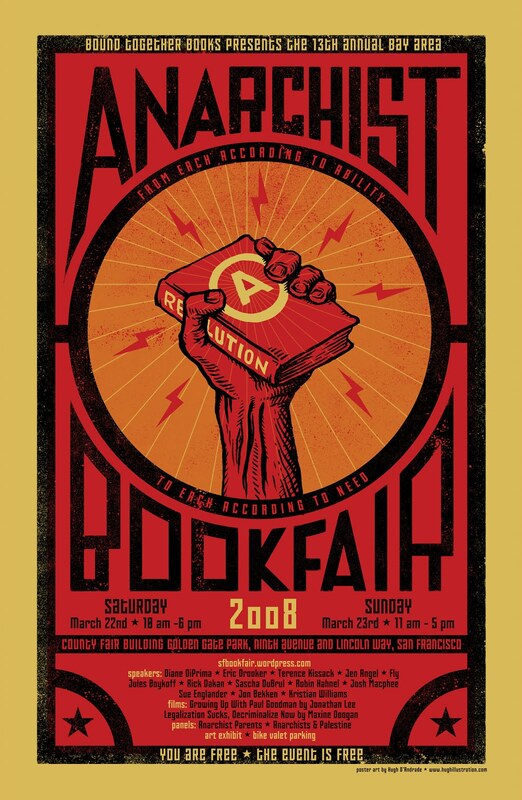 Many anarchist bookfairs disguise themselves as Radical bookfairs and invite non anarchist groups to participate in the event in order to increase the numbers likely to attend. This may cause some political friction but often works well. 7, If you use the seriously compromised medium that is Facebook then you might as well post your event here too! 8, If you have the resources try to organise a creche facility so that parents/guardians can be free of the their little treasures and have time to take in the event.